Disciplinary cases involving solicitors are now akin to High Court trials and there needs to be a major overhaul that would make the Solicitors Regulation Authority (SRA) responsible for handing out all sanctions, including strike-offs, a former prosecutor has said. Iain Miller said the Solicitors Disciplinary Tribunal (SDT) should turn into an appellate body for those unhappy with SRA decisions. 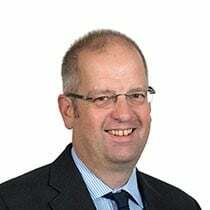 Mr Miller, a partner at City firm Kingsley Napley who acted for the SRA for many years but now advises law firms, said the “current long-winded system of disciplining solicitors is inefficient and costly and must not be allowed to survive much longer”. At the moment, the SRA can only rebuke solicitors and fine them up to £2,000 – for any more severe sanction, it has to refer them to the SDT. Mr Miller said this “flies in the face of more streamlined regimes”. He pointed to the high-profile case involving Phil Shiner, which ran for more than two years with costs expected to hit £500,000. If Mr Shiner is unable to pay, then the costs will be borne by the wider profession. Mr Miller said: “Doubtless those involved in investigating, preparing, presenting and determining the Shiner case did so with skill and diligence. However, the system means that it simply could not have been done quicker or at less cost. The problem is a structural one and that must change. “Under the current model, once the SRA receives a complaint, it must investigate, seek a response from the subject, decide whether to refer the matter to the SDT, prepare its application, deal with any interlocutory applications and directions, and then wait for a listing slot. Hearings are akin to High Court trials. He said an alternative model would be to allow the SRA to take the initial enforcement steps subject to appeal to a tribunal. That is the model applied to alternative business structures, he pointed out, where the SRA is able to fine up to £250m, subject to a review by the tribunal. The SRA has been pushing for an increase in its disciplinary powers for some years.